Augustus Washington was born in Trenton, NJ, c. 1820, the son of a freed slave from Virginia and an Asian mother who died shortly after his birth. His education was varied and intermittent. It began in a school for white children until he was forced to leave at age 12 or 13. After leaving, he worked with his father doing manual labor for three years followed by a short stint in his mid-teens as a teacher in a school for black children. Then, for almost a year and a half, Washington studied at the Oneida Institute in New York until a lack of funds sent him back to work. Beginning in 1831, he taught for three years in an African Public School in Brooklyn, NY. During all this time, Washington had been influenced by anti-slavery literature and had developed a deep desire to study at Dartmouth College where, he believed, he could pursue his interest in the abolition of slavery. To fulfill his goal, Washington applied to the American Education Society for financial assistance, but they told him that Dartmouth was unlikely to receive him without more preparation. 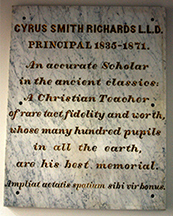 He turned to his abolitionist friends for help, with the happy result of acceptance by KUA’s Principal Cyrus S. Richards into the class of 1843. A month or two elapsed before we could hear of an Academy where they would receive and prepare for College, a colored student, without distinction on account of color. An application was made to Kimball Union Academy, at Meriden, N.H., one of the most wealthy and flourishing preparatory institutions in New-England, where several teachers are the advocates of sound learning, and would be an ornament to any enlightened community. 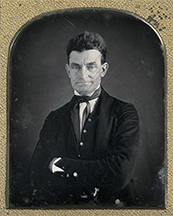 In reply, the Principal stated that, “after considerable deliberation and consultation with the teachers and Trustees, they had decided to receive me; but would not commit themselves in regard to party questions regarding abolitionism.” But, said he, “we receive him simply as we would receive any gentleman of like character and purposes, without regard to any public questions or excitements.” He also expressed the opinion, that if there was a difference of treatment, it would probably be in my favor. This proved to be true, for I could not have been better treated in London or Paris, than I was during the two years spent at that Institution. I mention these facts because they tend to confirm what I have always believed and maintained, almost alone–that no class of men in the world have fewer prejudices themselves, than the professors of our Colleges and teachers of Academies–But, in most cases, they yield to a corrupt public sentiment. I completed my course of preparation, reading nine Orations in Cicero, Sallust, Virgil, Xenophon’s Anabasis, two books of Homer, and some Mathematics. For my standing as a scholar, and character as a gentleman while there, I must appeal to the teachers and my classmates, who are now in Yale, Amherst, Burlington, Middlebury, Dartmouth and other Colleges. Besides in these studies, and those of my College terms, I am willing to submit to an examination at any time, by any person. In 1843, I received from the Academy my recommendation, sustained my examination by the Faculty of the College [Dartmouth], and entered it with a good number of my former classmates. 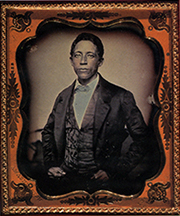 While researching ways to help finance his studies at Dartmouth, Washington had discovered the art of daguerreotype photography, but the income from it was insufficient to sustain him at Dartmouth for more than a year. He left Hanover and opened a successful photography business in Hartford, CT. Although he was never able to return to Dartmouth as he had intended, he was able to repay the $150 he owed the college. Washington continued his work with the abolitionist movement, but was always aware that slavery was not that far from Connecticut and that The Fugitive Slave Act was dangerous for all black people, free or not. At first, he disapproved of the American Colonization Society, whose response to the growing number of freed slaves was to send them to other countries. Like many, Washington suffered from the dilemma of whether to stay and work for improved conditions or to emigrate. By 1853, he had decided to resettle his family in Liberia, an African country established by the Society for freed slaves. There, Washington successfully reestablished his studio, farmed and continued his involvement in politics. We have several articles available in Archives detailing Washington’s life, including a catalogue, A Durable Memento, from the Smithsonian National Portrait Gallery exhibition of his work in 2000. The Smithsonian catalog includes many of his portraits and a lengthy biography of his life in the United States and in Liberia. Please contact me at jfielder@kua.org if you are interested in reading any of our archival material on Augustus Washington. Above Left: Principal Cyrus Smith Richards (Hood Museum of Art, Dartmouth College, Hanover, NH, gift of his students. AS SUPPLIED BY THE MUSEUM). 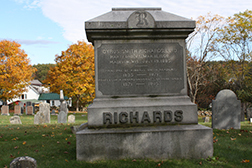 Above Right: The Richards Family stone in Mill Cemetery, Meriden, NH.Left: This plaque hangs in Baxter Hall as a memorial to KUA’s longest serving Head of School. Principal Richards enrolled three more African American students during his tenure at Kimball Union: Jonathan Gibbs, Class of 1848, and brothers James D. and John B. Lynch, both, class of 1855. Richards retired in 1871 after 36 years as KUA’s Head of School, but his work in education did not end here. 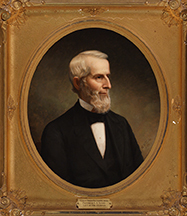 His keen interest in the welfare of recently emancipated slaves led him to a position as Dean of the Preparatory Department and Professor of Latin and Greek at Howard University in Washington, DC, established in 1867 as one of the first colleges for African Americans, where he remained until a year before his death in 1885. Richards‘ former student, George Cummings, class of 1865, and KUA principal 1875-1880, followed him as Dean and Professor Ancient Languages at Howard University. 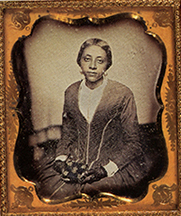 Question of the Week: What is daguerreotype photography?